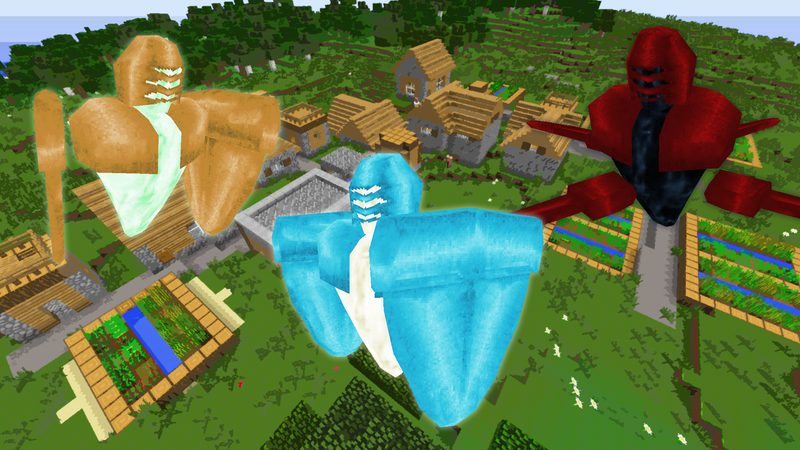 New Mob Added: Aegis - Order Elementals that spawn around and protect villages from invaders and thieves. Doubled the pet follow stray distance so they aren't too much in their owners face. Reduced the speed of Beholder and Cacodemon Projectiles. Fixed a crash caused by Shadowfire when Decay is disabled. Fixed a bug with the Water Chunk Spawner where it was randomly spawning outside of chunks by default causing cascading worldgen lag. I may remove the range values from the chunk spawn location in the future as it isn't useful and can cause this problem when set too high. Fixed an alpha blending bug on mob models, further improvements still need to be done though. Fixed Asmodeus' projectile attack offset. ============================================================ Lycanites Mobs Update: Perpetual Law - Version 1.19.2.0 for Minecraft 1.12.2 Configs older than 1.17.3.2 will be reset. ============================================================ -------------------- New Features: -------------------- New Mob Added: Aegis - Order Elementals that spawn around and protect villages from invaders and thieves. -------------------- Changes: -------------------- Doubled the pet follow stray distance so they aren't too much in their owners face. -------------------- Balancing: -------------------- Reduced the speed of Beholder and Cacodemon Projectiles. -------------------- Minor Fixes: -------------------- Fixed a crash caused by Shadowfire when Decay is disabled. Fixed a bug with the Water Chunk Spawner where it was randomly spawning outside of chunks by default causing cascading worldgen lag. I may remove the range values from the chunk spawn location in the future as it isn't useful and can cause this problem when set too high. Fixed an alpha blending bug on mob models, further improvements still need to be done though. Fixed Asmodeus' projectile attack offset.